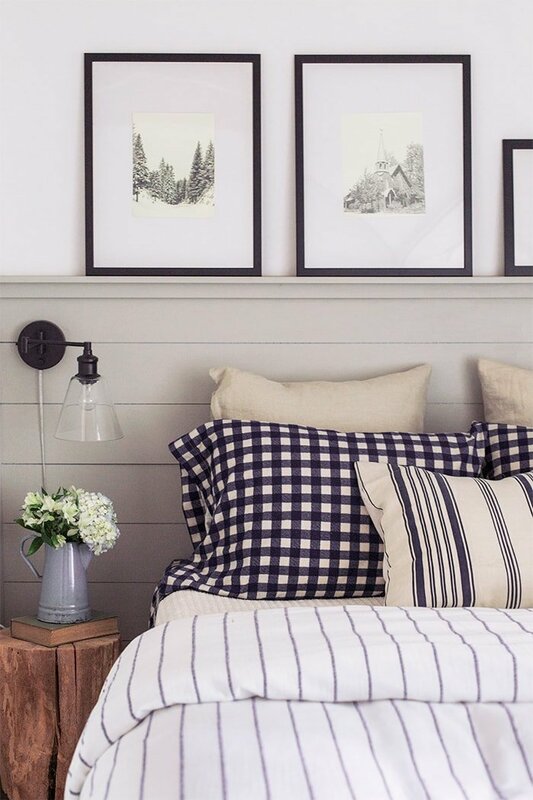 Welcome to the ­­­­final week of the #cottagehouseflip series, where we’re wrapping up with five days of giveaways! Each day I’ve lined up some pretty awesome prizes from brands and shops who were a big part of this renovation, and now you’ll get the chance to score them for yourself! Yep, it’s my own print shop! 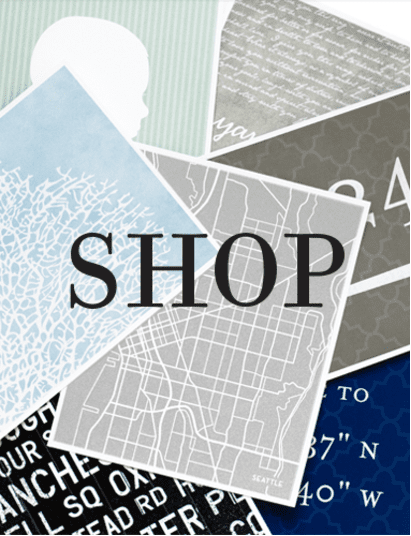 Some of you may have never noticed the “Shop” link at the top of this page, but I opened my art print business around the same time as the blog began six years ago. In fact, it’s still my “full time” job—in between flipping houses, blogging, & creating photo/video content. From wedding vows, to personalized children’s art, there’s a ton to choose from for any occasion, and it’s all customizable. One lucky winner will receive $100 in shop credit (international friends too!). Simply enter using the Rafflecopter widget below (use one or more of the options for as many entries as you’d like). The giveaway period ends at 11:59pm next Sunday, March 26th, and the winner will be emailed the following day (March 27th). Good luck to all, and stay tuned for another great giveaway tomorrow! I would love to get some prints to frame – my walls are bare. If I won this, I would print our wedding vows with the script after our wedding this fall so we could cherish them forever! I have adored seeing your design on this house. I have a small lake house and this house is now my inspiration for the changes I want to make. I really like the photo to sketch art! You’re at the top of my favorite blogger list so we’ve been using your homes as inspiration as we go! I, too, love the photo to sketch art. If I win, that’s what I’ll get! I’ve really enjoyed reading your blog on this latest cottage flip. Thank you! First on my list would be a sketch art of our house. I’ve ordered these from you before and they are lovely, but I’ve always given them as gifts! We are in the process of selling our first home, and I would love to get something that honors our time here. I just started looking into your shop and your creations more – is it possible to create a map print of my soon-to-be former neighborhood? It would serve as such a fun remembrance to this place! Loved following your updates on the cottage house – Congratulations! Thanks Brianne! I can make custom maps of any town/neighborhood, as long as there are roads! I love the script quote pieces! I found your blog, recently, and am so happy I did! Not only do I love your recent home redo, (because of that, I redid a guest room last week and on to the other one this week!) but your shop is fantastic. There are several items that caught my attention. The sketch art is something that I would love to gift my parents as they had a cottage on a lake for over 30 years that holds a special place to all their family. Have loved keeping up with the flip! Would love to win one of your giveaways! It would be hard to choose, but I am leaning towards the romam numerals! This would be great! We are redoing our office/sewing/tv room right now. I’ve been eyeing your St. Louis City map for my great room! I would love a print of my birth place map, I love Jenna’s prints they are so unique. I have always loved your city maps! I would love to do something custom for my son who is getting married this August! Love these prints! 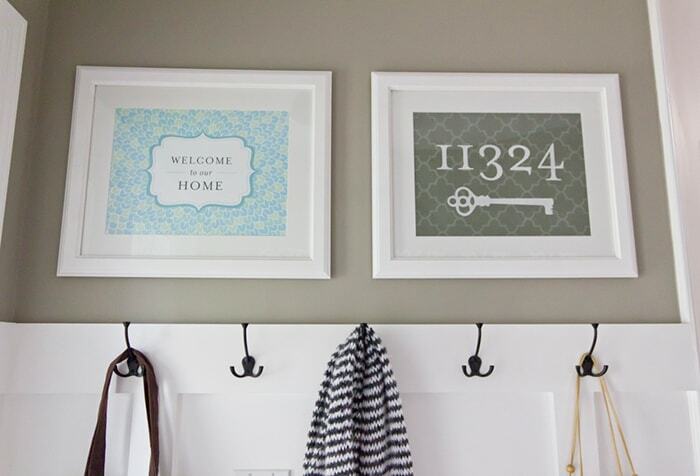 I have been coveting those home and address prints for a long time! I would spend my prize on these as they would be the perfect addition to our entryway makeover! I like the photo to sketch art but its really hard to choose! I also have one kid moving into a new place, on moving out for the first time and one moving form college dorms to a college apartment so its possible (but unlikely ) I amy be generous and share! I would love the photo to sketch art! I would decorate my new house in a new city!! So many to chose from I may have trouble deciding. I have a few of your prints already. I love the roman numeral signs!!!!! I would love the roman numeral art print!!! I’m thinking I’d use the Roman Numerals probably in my bedroom. That or a collage of some of your prints (maybe maps) in my dining room! Love the photo to sketch idea! I love all your maps that you print. I want some for a gallery wall I’m starting to create. I just got married last month and we both wrote our own vows. Having them beautifully printed would be amazing! If I won the gift card to your shop, I would get the roman numerals or the script sign! What a great offer! Thanks for doing that (and including international folks)! It is hard to decide but I like the verse. The photo to sketch print is awesome. I’m going to check it out now! I absolutely love you shop! And I was following you when you quit your full time job to follow your dream of running your own business!! I found it very inspiring! It’s one of the reasons I took the leap to leave my job to become a Flight attendant!! So happy that it’s worked out for you!! I have your Roman Numeral print hanging in my foyer. Love it! I think I’d get a print of my birth City, my husbands and my daughters! I could make a little collage wall! I love the roman numerals! My first anniversary is coming up in a few weeks and I would love to get our wedding date. Thanks for the fun giveaway! Getting ready to move, something for our new place! I would use credit to decorate house that I’m buying. Specifically I love the city maps. I need ‘over-the-tv-art’ and the photo to sketch prints would be perfect! I’d love to win this! I currently have the custom city map you made for me hanging in my entrance, and would love to add something to the bedroom. Love your blog and all the work that you do! Photo to sketch. My walls need some love! Who wouldn’t love to win!! I loveJenna’s work!! I would get prints for my living room. All the walls in there are bare! Yay! I love your prints! I got one for my mother -in-law a couple of years ago and she loved it! Hope I win so I can get some for myself! Loved the cottage flip..I guess I never paid attention always wondered wher the prints came from. Thanks for the chance to win one and on our 51 anniversary. We are doing a kitchen/living reno and need some art! I love the city maps! Such a fun idea! Beautiful work, as per usual! Your talents are amazing and I am so grateful that you share them. I would LOVE a photo etching print! Hard to decide what to get, maybe the map art or the sketch art! I would love to display meaningful prints in my home – like a sketch of our house, my baby’s stats, our anniversary date in the roman numerals. I have a nursery to decorate so something from your kids section! I would for sure buy the roman numeral print for my wedding date and I would love a city map! I love the Roman Numerals print and would definitely get that one. Photo to sketch print! LOVE! Long time blog follower from Ontario, Canada entering your giveaway today! I would love to get city maps of the places we lived. I would love to have a city map or a photo to sketch of our house or our black lab! We just sold our house last week. Some new art using our new address would be so much fun! I already own several prints you have done … Hawaiian islands – white on a blue backdrop … longitude and latitude coordinates … and our wedding song in the script writing … so excited to add more to my collection! Thanks for this opportunity. I could use some fresh art and your designs are lovely. I love your maps and the Roman numerals..and just about everything you do! Thanks for providing such great inspiration! Great giveaway! Your prints are awesome. You’re my celebrity crush! Not in a creepy way haha but I love love love your decor style! You’re my Julia Childs!! I’d give anything to have you remodel our new in-the-city-farmhouse we bought! It has GREAT bones!! I love the neighborhood maps!!! I would love the Roman numerals or address print for my son who moved into his first house today ! The photo to sketch art would be my choice! 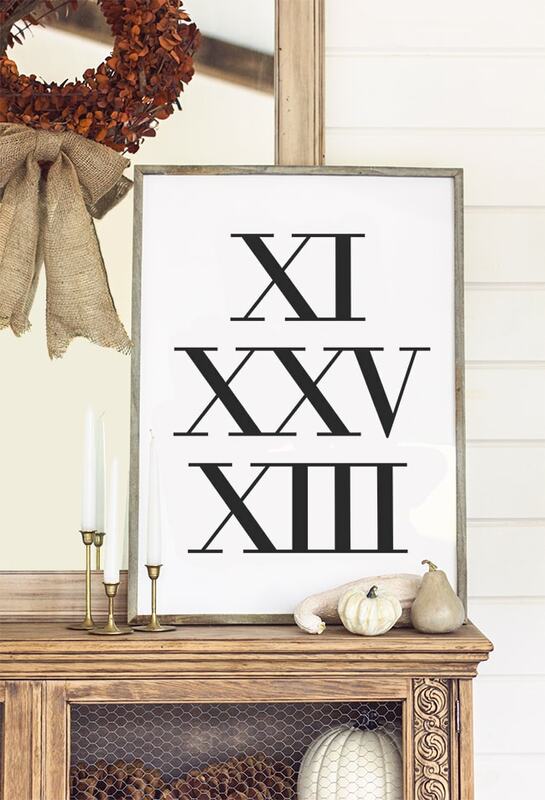 I have been completely in love with your roman numeral prints ever since they first appeared on your blog! Divine! I never win anything, but I surely won’t if I don’t try ha! I like the photo to sketch art, which looks great in the cottage flip. Hope your travels are fun! Well deserved. I am jealous. Thank you for offering this giveaway, Jenna! Your shop has so many wonderful designs. Your blog…WOW…you have a way with words and pictures, second to none. Your decorating style is classic and your travels are amazing. Thanks for all you do for your readers. Would love to have a black and white map of Texas! So many options and ideas. I have always loved your Roman numerals! There are so many options, not sure what I’d pick! You’re an inspiration! I look forward to each and every post! I will be doing my own Reno soon. Do inspired by your work. I love the Roman numerals​ print. Something romantic that would have meaning to my family only. Like a secret. Love the giveaway. I have many custom pieces from you and would to get many, many more. I’ve always loved the Roman numeral design. I’ve had my eye on a giant size map of our town! This is awesome! Thanks for including us Canadian friends! We just finished renovating the outside of our house and this year we are finally starting the inside and let me tell you, picking out pillows and flooring is WAY more fun than picking out siding and windows! $100 for your shop would be great for the gallery wall I’m planning in our living room AND the one in our walk-in closet! In my house I have our wedding date in Roman Numerals that you made, I love it very much. If we won I think it would be fun to get wedding dates framed for my four daughters. Also I love your city scapes, I’d like one for our home town and our favorite city, Melbourne, Australia. Love the sketches of houses! 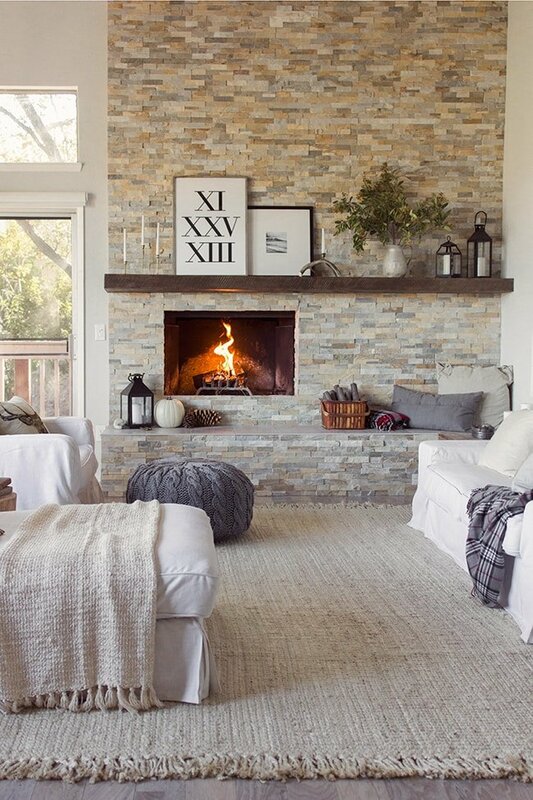 Love the cottage flip! I love all of your designs. It would take me a while to decide which I would want. We live on a lake, so probably something to relate to the lake. Hard to decide! I love the maps but maybe the photo to sketch art! So excited for giveaway week! I love everything you do! Probably your photo to sketch print..or maybe a map..or something personalized…agh!…it would be sooooooo hard to choose! I can’t get enough of the maps!! They are so interesting and unique as wall art. I love them next to my blueprints and mechanical drawings. I plan to order city maps of each of the cities that my sisters live in; Chicago, Austin, and LA. I always feel inspired after visiting your blog! I have been binging on the archives for a while now. always been obsessed with the script prints ! Probably one of the maps..but love everything! I LOVE the script quote ❤ there are so many memories that you could capture with it! I really love the coordinates print. Yippee! Open to international followers! So many beautiful prints to choose from but I am swooning over the children’s prints – DEFINITELY one or two or 50 (he he) of those. I would love a map print. I have some of your shell prints that I bought a few years ago in my powder room. So hard to decide! Probably the Roman numerals. Love the blog and your work! 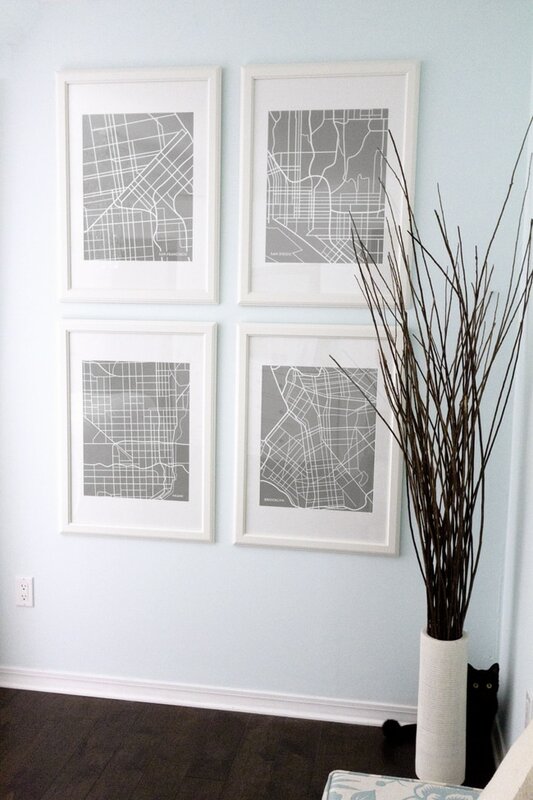 Probably the city map, because I just love maps…but we really need art work for our master bedroom…. I would love some new artwork! I am a huge fan. I have followed some of your tutorials with great success. I could use so many of your prints. Thank you. I love the roman numerals and the new sketches you have done!!!! my favorite are the subway art! I love the photo to sketches! Photo to sketch print please! During my 15 year marriage, my husband and I have moved 5 times – would love to have one of your pieces to document all those moves! I’d love to get a print with a map of my city! The photo to sketch art is beautiful! I also love your antler candle holder on the mantle–very cool. Hi! I think I would choose either a city map or the Roman numerals. Both are so nice!! I love the Roman Numerals! Hard to choose!! I started following your blog because of your prints and have my tattoo done in your “Jenna Sue” font! I would love one of the home sketches you do. I would love a sketch of my childhood home! the photo sketch art is breathtaking! that would be my choice. So many choices possible Roman numerals, maybe city maps of cities we vacationed or picture to sketch prints. 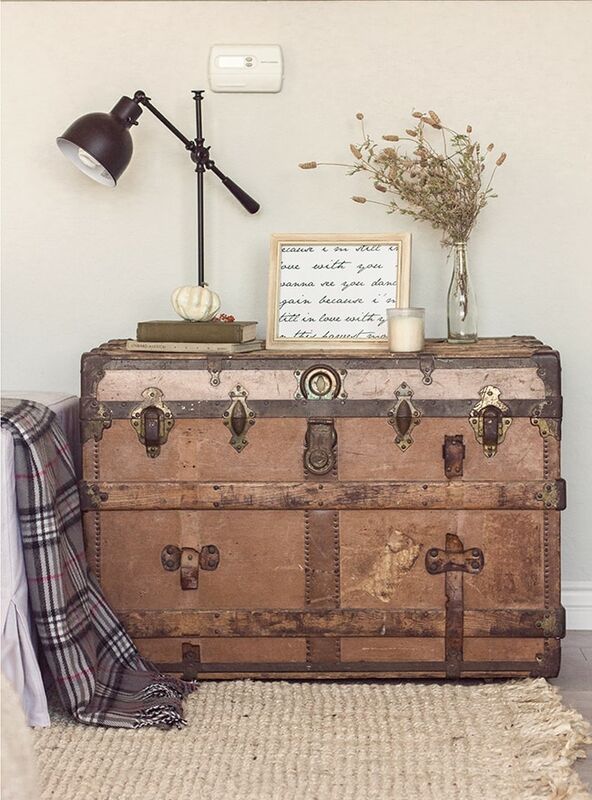 I love the cottage are prints – just beautiful. I’ve been wanting a home sketch and the roman numerals sign for so long and with $100 gift card I just might be able to get both! I’ve had my eye on making a map of Kolkata where I lived for 5 months! India is fabulous! I love the idea of city maps on my wall. Or the sketches. Your art is different – I like it! I have been crushing on the city maps! Love, love, love! I would love the let it be quote. I love the city maps! Those Roman Numerals have my heart! My husband and I are currently buying our first home and already use all of your home designs as our inspiration! I refinish furniture and just love what you do. Our first home would look great with some of your art! I especially love the sketches!! Hi all the way from Brisbane, Australia. I have followed you for quite some time now (years in fact) and all you do is inspirational. Therefore, I would love to spend my voucher on something inspirational! I need new ones for my new house! I have always loved the city maps, Jenna – one day I will have one of Baltimore in my home!!! The roman numerals are my favorite, just can’t decide on the color scheme. I wish when you choose a color a preview appeared. It would make my decision easier! Thank you for the opportunity 🙂 I would love to hang roman numerals in my entry. Fingers crossed. Have a great day. Still haven’t added much art to the house I moved into over a year ago. I would love a print! My family and I are currently in the process of selling our home of 10 years and moving across town. I would love to have a print made of this house, that is the first home my husband and I bought togther and brought our babies home to. I love the photo to sketch option! A wonderful way to have an original! I would LOVE to either get the Roman Numerals with the date of my anniversary or do a custom print with our wedding vows! I love your city maps, roman numerals and the home sketches. Thanks for having such great giveaways! I ordered a lat/long print for my dad and he loves it. I’d love to get more prints for our home, too! I find your work so beautiful and inspiring I would have difficulties in selecting just one!!! I think I would end up chosing the city map of Paris, my favorite city in the world! I started following your work when you used to do annual planners that could be printed. I loved those and I have been a fan ever since! i would love a photo to sketch, I love a farm and barn that I pass by near daily! Thank you for the opportunity to enter your giveaway! I recently saw one of your prints while looking at an old post on The Wood Grain Cottage. It was for her huge office picture. Loved it! Love the roman numeral print! This would be really tough to decide but I am always drawn to maps and so I think I’d pick a map of Kansas City. Thank you for doing this. Lovelovelove your style. Lovethe photo to sketch art! 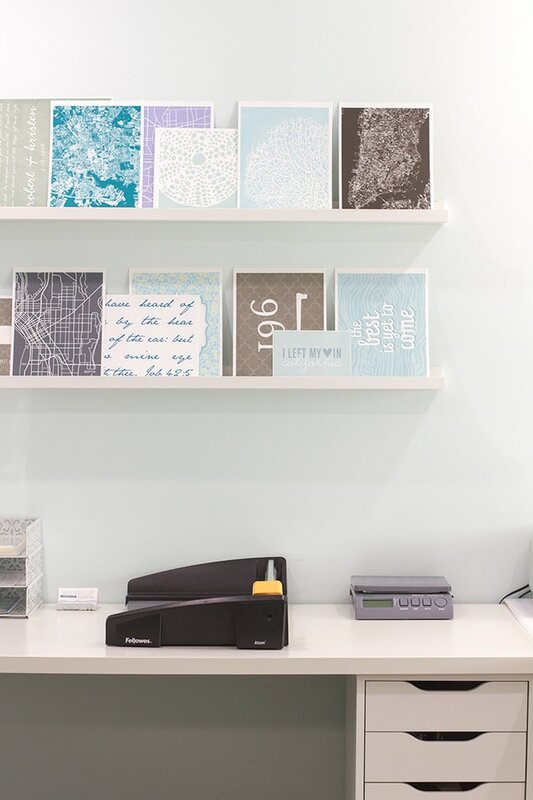 I would use it to buy a bunch of cute prints to create my long-awaited for photo frame wall! I love the photos that are turned into pencil sketches. They are beautiful!! Thank you Jenna!! I love the photo to sketch art! And the roman numeral art! It would be hard to decide…but I think I could come up with a winner! 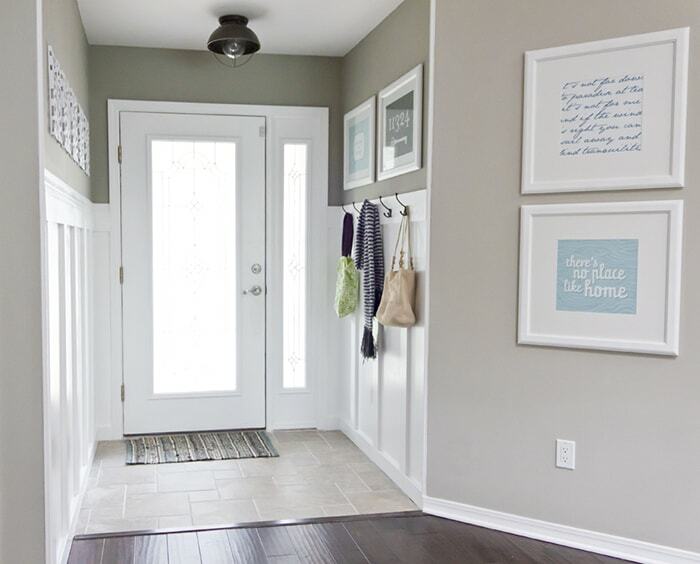 I woul love an inspirational quote for our entryway. Map maybe? Love the roman numeral sign…so much to pick from! Love your designs! I’d definitely order the photo to sketch design. I would love some city maps of places we have lived and visited. Beautiful designs. I love everything. I already have one of your maps, so maybe a sketch. I love all your designs. not sure which one! I love your maps! I would love to get one of my hometown. It has an interesting layout and I think it would be fun to put in the guest room. I know I would find it cool to look at as a guest. I love the maps! I would love to have maps of california, texas and michigan and new york everywhere my family is living! Hi Jenna!!! I’m super excited to hear what you are doing next!!! I cannot wait!!! I’m secretly hoping it has to do with LOVE… hehehe😉 I LOVE EVERYTHING you do! You’re AMAZING!!! I’ve had my eye on the city maps for over a year. I’d love to do a collage of a few including places we’ve loved and lived. Love the photo to sketch art! If I won I would get the full Ocean print set. I love all of them on the light blue. I love the photo to sketch prints!! I would love a sign with the year we were married. We just bought a house and are in the middle of decorating everything so I definitely would love a print to place over the fireplace. I would use the credit on the photo to sketch art! I have some wonderful 1940’s photos of my recently passed grandmother that would be very meaningful. Thanks for the chance of winning! I LOVE LOVE the map/street prints! Especially San Francisco–my favorite place to live. Love the photo to sketch art & the quotes! Photo to art sketches are a favorite! Beautiful artworkz!